WANT TO HELP with the borough’s answer to the Notting Hill festival? 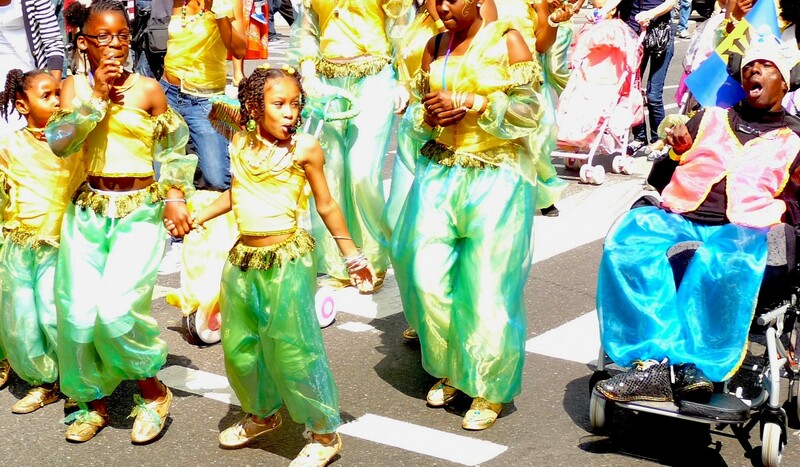 The Hackney One Carnival snakes through the streets in September and volunteers are being sought to help with registration and to steward the procession. You may even get a chance to work on the magnificent and extravagantly designed costumes, which can take months to make. This liveliest and most colourful of free events will include performances by young local musicians, an all-day children’s play area in Gillett Square N16 8JN and a finale in Ridley Road. African, reggae and dub will boom across the borough. Ethnic food will be available from vans and stalls. Don’t fash, chips will probably be on sale for the unadventurous. The event is run by the council, hence you can expect a lot of statements over the months about a celebration of diversity, vibrancy and creativity. Oh, one’s just popped into the Loving Dalston email basket. Kim Wright, of Hackney community services, says that “Hackney One Carnival is a great way for residents to celebrate the diversity and creativity that thrives…”. Yeah, ta, Kim, although next time don’t forget the “vibrancy”. * Backstory: Carnival inna Hackney stylee; Hackney cancels streetfest as cops fear looting; London Fields the new Notting Hill?